Whilst I miss my friend terribly since she moved to the USA I can't deny that I do love it when she sends me a parcel, particularly like the one I received at Christmas. Filled with beauty products from the US, many I was or am unable to get hold of in my local Boots made it all the more special. First we'll start with the dinky kit from Benefit featuring my favourite primer, Porefessional and Licenced to Blot Mattifyer in handy travel sizes. Both accompanied me on my recent trip to Florida. Admittedly I didn't need to use Licenced to Blot but the primer was used daily as it often is back home and it was great not to have to take up space with the larger tube. The Star Wars Mascara recently featured in my favourites post and was an instant hit despite my scepticism of the thin wand. Lashes Long Are Mine - apologies but couldn't resist a Yoda style speech! Following the Star Wars theme was one of the nail colours from the collection in my signature red. I've yet to try this out yet but I'll report back. 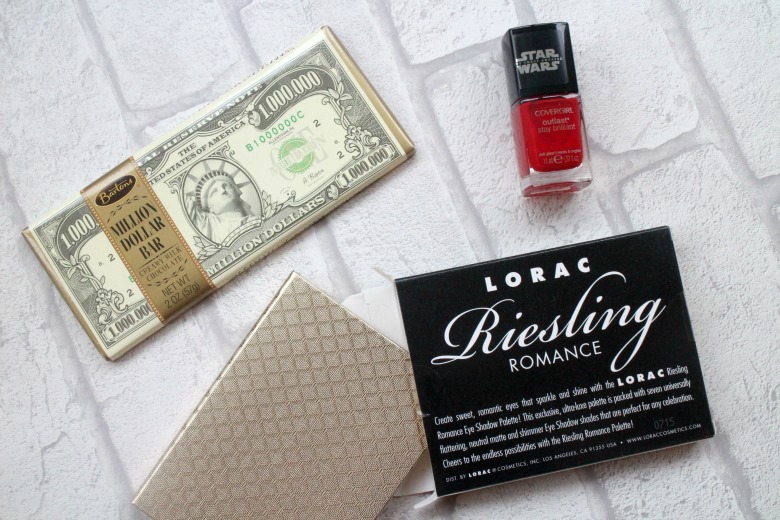 Another favourite from the past month was the Lorac Riesling Romance palette from the 2015 holiday collection. Again Lorac has not let me down and this palette is perfect for throwing in your make up bag and covering all eventualities. The Milani offering on my recent trip to Florida was limited so I was even more glad that Rose included the Fierce Foil Eyeshine Quad in Florence in my gifts. I've not yet used this but I've had a swatch and they seem very interesting. The two darker shades are very pigmented, especially the bronze shade and I imagine it'll be lovely. The lighter two seem to have more of a shimmer or shine but as I say I need to play with them a little more before passing judgement. They're damp in texture and very creamy so it's going to be an interesting one. Finally is a lipstick from Elf and their moisturising lipstick line, in the shade Velvet Rope. 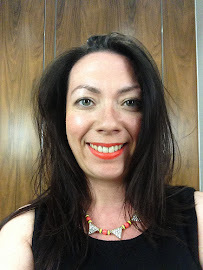 This is more of an orangey red so I'm saving this for when the sun shines a little brighter and it might even be a competitor for my favoured NYX Butter Lipstick in Coral Red. 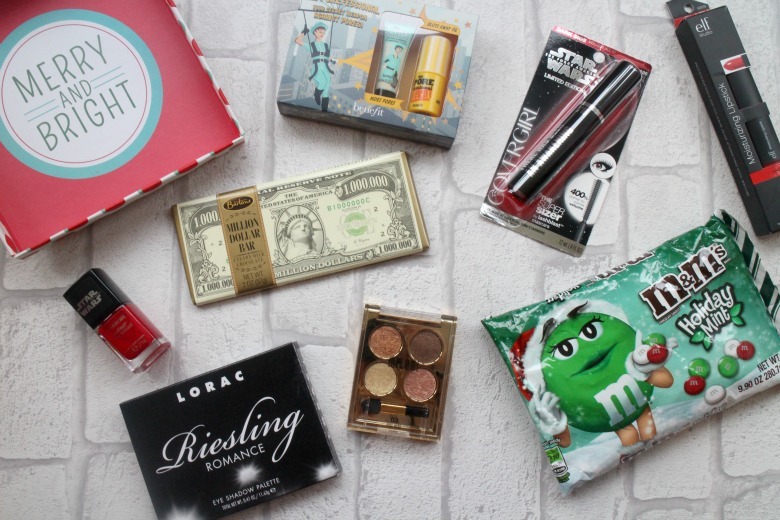 What product from the USA would be on your beauty wishlist? lucky you. I'd like to try the Tarte mascara. Have seen so many beauty vloggers rave about it, but pah, can we get it here? Nope. I love these posts. SO many goodies!